The EC has also asked the Delhi Chief Electoral Officer (CEO) for a compliance report to be sent to them “immediately”. The EC directions come a day after the BJP admitted that the NaMo App, of which NaMo TV is a part, was run by its IT Cell. Holding that NaMo TV is sponsored by the BJP, the Election Commission Thursday ordered that all content on the TV channel should be “removed immediately” as it did not have prior certification. The poll panel also held that all recorded programmes displayed on NaMo TV should be pre-certified by the Media Certification and Monitoring Committee (MCMC) of Delhi. The EC had earlier asked if the content had been pre-certified, to which the Delhi CEO Office had responded saying no certification was given as the content did not qualify as an advertisement since only pre-aired speeches of the PM – already in the public domain – were being telecast. “It has been brought to the notice of the Commission that NaMo TV/Content TV is a platform service offered by DTH operators offered to the BJP on a paid basis. It has been confirmed by you that there has not been any pre-certification of the content being displayed on NaMo TV/Content TV, by the MCMC Committee in your office,” said Principal Secretary Narendra Butolia to the Delhi CEO. 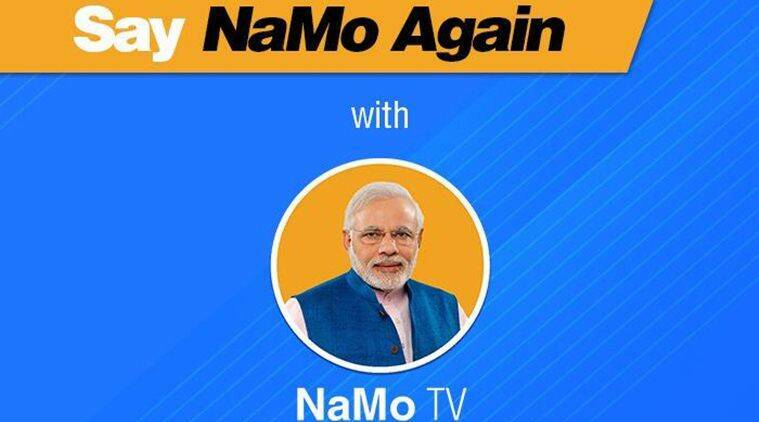 “As NaMo TV/Content TV is sponsored by a political party, all recorded programmes of political contents displayed on the channel/platform would be covered under the purview of the Commission’s order dated April 15, 2004 issued in pursuance of the Order dated April 13, 2004 of the Hon’ble Supreme Court in Secretary, Ministry of Information and Broadcasting Vs. M/s Gemini TV (2004) 5 SCC 714. Accordingly, all political advertisements and all recorded programmes with political contents are mandatorily required to be pre-certified by the MCMC before telecasting/displaying,” said the EC. The EC’s April 15, 2004, order requires that applications for certification of ads by political parties headquartered in Delhi be made to the MCMC at least three days before the ad is to be telecast. The applications must also include the cost of production, the cost of telecast and whether the ad is for the benefit of the political party or candidate. According to the 2004 order, the committee can call for deletion or modification of any part of the ad. The poll panel Thursday also said “any political publicity material/content, being displayed on electronic media without the requisite certification from competent authority (MCMC in this case) should be removed immediately” and “any political content shall only be permitted strictly in accordance with the ECI instructions in this regard”.